Stroll through the gorgeous Garden District on this 2-hour walking tour to see some of New Orleans' most beautiful mansions. Enjoy a visit to Lafayette Cemetery at the end of the tour. Meet your guide in the Garden District and follow along on a scenic stroll through the lush streets. Upon arrival in New Orleans after the Louisiana Purchase in 1803, Americans found the Creoles living downriver from Canal Street. The two groups hated each other, so the Americans settled upriver from Canal Street in the early and mid-19th century. This enclave of Americans became rich and built great, ostentatious mansions in an area that came to be known as the Garden District. 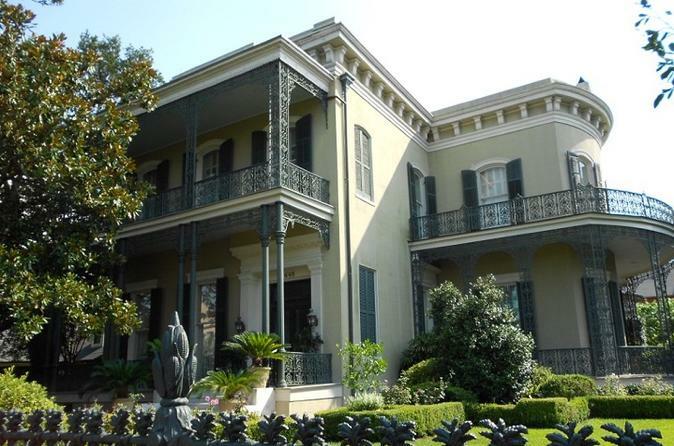 Walk through this historic neighborhood to admire some of New Orleans' most beautiful mansions. Find out which ones belong to John Goodman, Archie Manning, and Sandra Bullock, and which was once owned by Anne Rice. See the house where Jefferson Davis, the Confederate President, died. At the end of the Garden District tour, continue on for a visit to the Lafayette Cemetery to see some of the city's unique above-ground tombs.